I hope you have a "Winter Series" where you live. 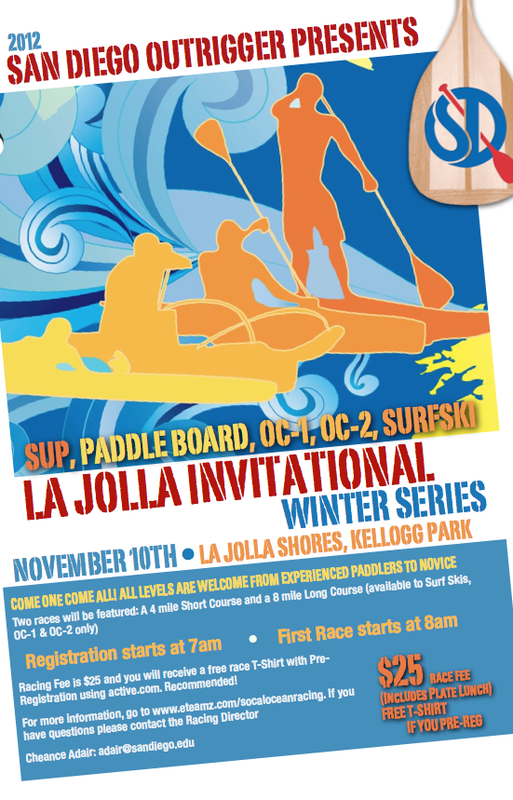 Here in Southern California the Winter Series is a set of races each one hosted by a local outrigger canoe club. The races are really fun- there's still all the competitiveness but much less of the crazy hype. It's a chance to reconnect with racing friends and get out on the water. The cost to enter is usually low. 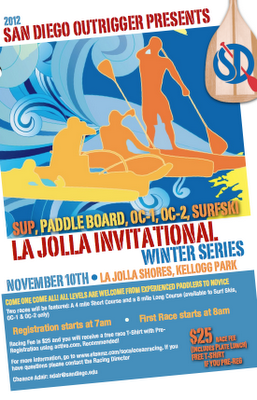 This weekend, for example, the San Diego Outrigger Club is hosting the first race of the series. The price to race is $25 which includes lunch and a teeshirt. I'll be there- hope to see you as well.